Call Day--What's It All About? Every year around this time, our two Lutheran Church—Missouri Synod seminaries are buzzing with excitement over Call Day. Many people in the LCMS—from seminary students and their families, to district presidents, to pastors, to calling congregations—have been anxiously awaiting its arrival. But what exactly is “Call Day”? We asked one of our editors, Rev. Dr. Benjamin Mayes, to explain. Call Day is the day when candidates for the pastoral ministry receive their first calls to serve as pastors, missionaries, and chaplains. In The Lutheran Church—Missouri Synod, this happens in services each year, held at the two seminaries in St. Louis, MO, and Fort Wayne, IN. A “call” here is a summons extended by a congregation of Christians, either as a local entity or working together through the agencies of the synodical fellowship, which names a particular man and charges him with performing the duties of the Office of the Holy Ministry in a particular place or sphere. It’s a big deal. This, rather than seminary graduation, is the culmination toward which seminary students preparing for the pastoral ministry have been working. C. F. W. Walther in his Church and Office (thesis VI on the office) states that the right to call pastors belongs to congregations—laity and pastors together in a certain location, or the laity alone if there are no pastors at hand. Through the course of time this has been interpreted in such a way by the LCMS that not only can local congregations call pastors, but so can Recognized Service Organizations of the Synod, Synod corporations (such as my own Concordia Publishing House), and even the LCMS boards of national and international mission, so as to issue calls to missionaries and chaplains. This makes sense if the denomination and its agencies are seen as a collective function of the congregations. Working from this understanding, the long-established custom in the LCMS is for the district presidents to assign to pastoral candidates their first calls. 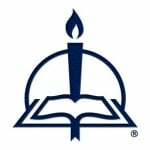 Calling congregations and agencies submit their requests for a new pastor to the denominational district headquarters, and the seminaries make lists of candidates available to them as well. When I was a pastoral candidate and seminary student back in 2003, most candidates knew that the district presidents would meet in advance to discuss their names and profiles, trying to match them with districts and congregations that would be a good fit. We believe that the Holy Spirit has a hand in this whole process somehow or other and blesses it, because the Church needs pastors, Holy Scripture sanctions their calling and ordaining, and this is the way that our fellowship of congregations has covenanted together to confer the call. That is, we don’t think the Holy Spirit works mystically and directly inspires the district presidents as they sit in council, like a council of cardinals electing a pope. Rather, these district presidents, who are presiding pastors in our synodical fellowship, join congregational calls with candidates as best they can, and when they’re done, we thank God that these congregations now have pastors-elect. My classmates and I were mindful of this as call day approached. In its form the call service is often a beautiful Vespers service with as much reverence, music, and ceremony as possible. After the singing, readings, and sermon, however, the character of the service changes. During the presentation of calls, candidates walk across what looks like a stage to receive their call documents and shake hands with the president of the Synod, the seminary president, and other dignitaries. Wives have smartphones ready to look up everything possible about the location to which they will be sent. To everyone it seems like a night of endings and new beginnings. Afterwards the students meet with their new district president and talk with friends to see how near or far they will be—thinking wistfully of the good times past, and wondering whether they’ll see their friends much anymore. To me the most impressive part of this process was actually the simplest. In Fort Wayne, the seminary president at the time, Dean Wenthe, would call upon all the pastors-elect to stand, and would read to them the following admonition, drawn from Acts 20 and 1 Peter 5 and taken (as I did not know at the time) from the liturgy for the “Ordination of a Minister” in the old Lutheran Agenda. These words impressed upon me the importance and promise of the holy ministry, more than the gilded documents and details that were handed to me as I walked across the stage. Go, then, take heed unto thyself and to all the flock, over which the Holy Ghost hath made thee an overseer, to feed the Church of God, which He hath purchased with His own blood. Feed the flock of Christ, taking the oversight thereof, not by constraint, but willingly; not for filthy lucre, but of a ready mind; neither as being lord over God’s heritage, but being an ensample to the flock. And when the Chief Shepherd shall appear, thou shalt receive a crown of glory that fadeth not away. The Lord bless thee from on high and make thee a blessing unto many, that thou mayest bring forth fruit, and that thy fruit may remain unto eternal life. Amen. As you prepare for Call Day (as a calling congregation, as an official of the seminary, synod, or district, as a candidate or family member), may God bless your preparations of body, mind, and spirit, always bringing to mind our Good Shepherd and His faithful promises. There are also call days for other professional church workers, such as teachers and deaconesses. Actually there are mini-call services each quarter for candidates who are ready, but the big services are held in the Spring each year, when the vast majority of candidates are ready to receive their calls. Both seminaries will stream their Call Day services live online. To watch the Fort Wayne Call Day service at 7 pm (Eastern time) on Tuesday, April 28, click here. To watch the St. Louis Call Day service at 7 pm (Central time) on Wednesday, April 29, click here.